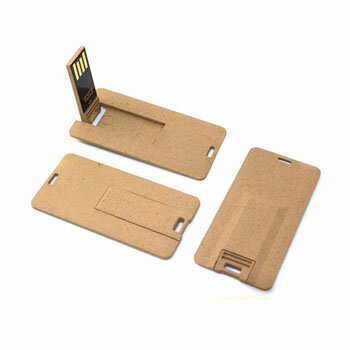 Mini Card plant fibre material USB drive. Minimum Quantity of order 50 units. The housing of these USBs made out of Plant Fibres Material and eco-friendly. The chip capacity is available from 128MB to 32GB and they can be branded with your logo. The unit weight is 3.00g and the unit size is 60x30x2mm.